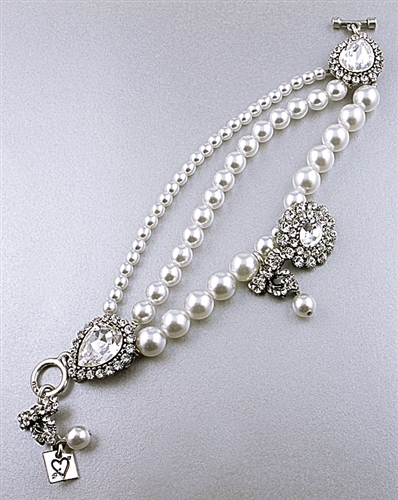 White Swarovski pearls & Swarovski crystals bracelet by Otazu. This fabulous pearl bracelet features three strands of Swarovski pearls and two dangling swarovski charms in the center and on the ends. A timeless bracelet, also perfect for the bride to be.